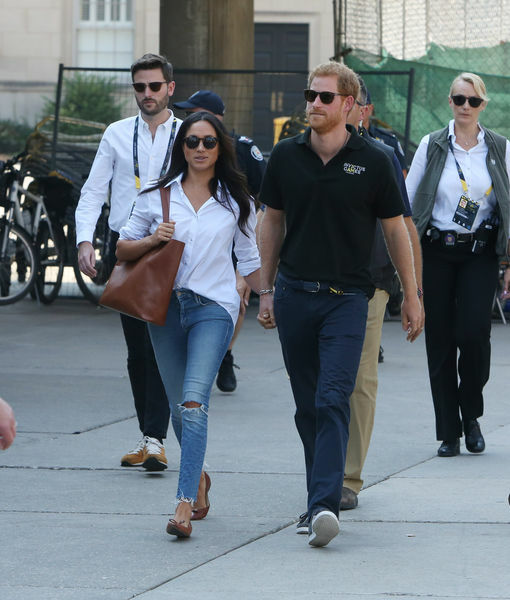 On Monday, Prince Harry and Meghan Markle walked hand in hand after attending a tennis match at the 2017 Invictus Games. The two were surrounded by bodyguards while walking down the streets in Toronto. 5 News reporter Simon Vigar was able to capture video of the lovebirds — watch his Twitter video below! 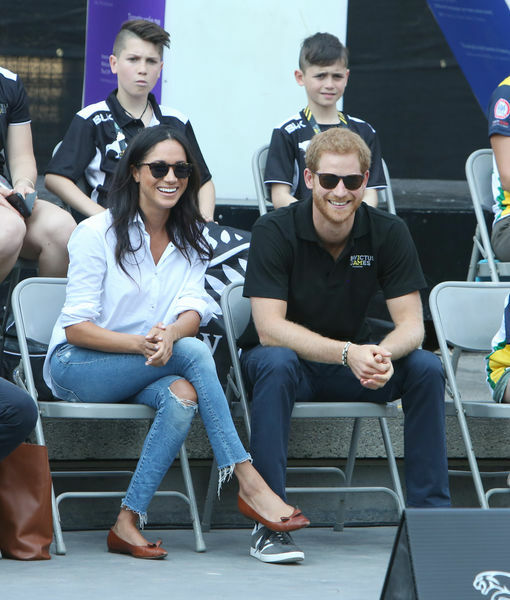 During the wheelchair tennis match, Harry and Meghan were seen flashing big smiles at Nathan Phillips Square. On Friday, Meghan showed her support for Harry at the opening ceremony, their first public appearance together. 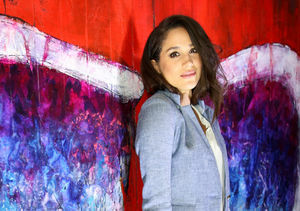 Meghan and Harry have been the subject of engagement rumors. A source told E! 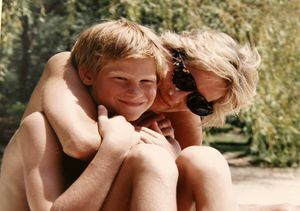 News, "It's, of course, very serious and both Harry and Meghan are focused on the future. 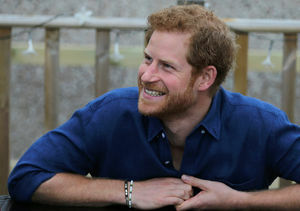 Engagement talk isn't just between the two of them, even some of Harry's closest aides are quietly expecting news before the end of the year." The pair have been dating for over a year.